Our Mission is to provide our taxpayers, residents and businesses with affordable quality services and to keep them apprised of and engaged in District affairs by conducting ourselves in a transparent way. Welcome to the District of Peachland�s Website! Looking for information but don�t know where to start? Check out our"A ?Z? search function and the �I want to...?/b> tab at the top of the Home Page. Business licences for 2019 are ready for payment and pick-up at Municipal Hall at 5806 Beach Avenue. Annual invoices were mailed out January 10, 2019 and payment is due on or before February 15, 2019. The Peachland Senior's Support Society hired a building manager for the Residences on 6th in December 2018. Due to water damage, the date to move into The Residences on 6th will be delayed. The Tourism Promotion Committee is looking for advisory committee members. Deadline to apply is January 25, 2019. With the first snow of the season, the District of Peachland readies for street clearing and offers some winter reminders for residents. Imagine living and working in a location that many people just dream about for vacation visits. Situated on eleven kilometers of Okanagan lakefront, Peachland is in the very heart of the recreation paradise that is the Okanagan Valley. Positioned midway between Kelowna and Penticton, it is the perfect location to draw from both population centres, and is well positioned to act as a hub for wine and other agri-tourism activities. 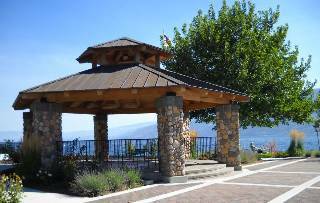 Peachland is within easy reach of over 200 estate wineries and microbreweries. In the relatively brief winter season Peachland is centrally located to downhill skiing at Big White to the east and Apex Mountain to the south. Numerous hiking, biking, cross country skiing, and snow-mobiling trails are within minutes drive of Peachland. Your feedback is important to us. The District of Peachland is committed to service quality and is continuously striving to develop new ways to improve service delivery to you. Help us measure and enhance our service, by taking a moment to complete the online questionnaire. Questionnaires can also be filled out at our Customer Service Feedback Kiosks located at the District's Office, Community Centre and Public Works Office.